Green Solicitors We are a specialist legal practice offering the services of trial advocacy and the supporting preparatory work and pre-proceedings correspondence in the subject areas of Civil Litigation, Employment Law and Land Litigation. The Land Registry is the government organisation which maintains a central register of the ownership of land and anybody’s interests in it. The Land Registry started almost 100 years ago and since then has held increasingly more detailed information in respect of registered land. there is still of course a lot of land that is not registered but this is reducing every day. Although the Land Registry does not adjudicate on matters in dispute and does not settle disputes it is linked with the First Tier Land Tribunal previously known as The Office of the Adjudicator to the Land Registry which is a quasi-judicial position. Ian Procter here at Green Solicitors regularly appears before the Adjudicator to the Land Registry in all matters involving the Land Registry’s determination of applications made to it. 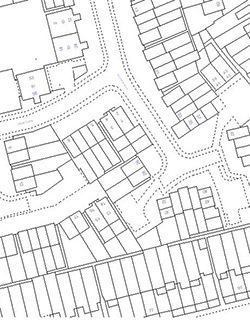 Although the Land Registry is simply a centre for the collection and storage of information rather than decision making, applications have to be made to the Land Registry by anybody wishing to be registered in respect of any interest or ownership in land, often the Land Registry raises objections to such applications and sometimes those objections are considered unreasonable or unfounded. In those circumstances it is necessary to move to the next stage and this is something here at Green Solicitors we are well accustomed with. If you feel you have a difficulty with the Land Registry, whether you are registering a new title, applying for adverse possession or seeing to assert a right that you have over somebody else’s land we are sure that we will be able to give you straightforward and specific advice without difficulty. 79 King Street, Whalley, Clitheroe, BB7 9SW. VAT number 137 2437 19. This firm is regulated by The Solicitors Regulation Authority. SRA Number 569515.